Keanu faces off against Russian mobs again, but this is far from John Wick – as Marie discovered. Please do not be fooled by any synopsis which bills this as John Wick branching out into the diamond trade. While it’s true that Keanu Reeves spends some of the time in a sharp suit, any action (in the gun-toting sense at least) is saved for the last act, and this is in truth a thriller more than an action film. Reeves plays Lucas Hill, an American diamond trader, who travels to Russia negotiate a deal with bad guy Boris Volkov (Pasha D. Lychnikoff). But his contact goes missing, and Lucas follows his trail to frozen Siberia, where bar owner Katya (Ana Ularu) helps him out of a tricky situation. Now, I love Keanu as much as the next person, but he deserves better than this. We meet Lucas Hill in his beautiful home, saying goodbye to his wife (Molly Ringwald) just before he leaves for St Petersburg. But apart from demonstrating that Hill is a married man, that’s the end of that. The introduction of the wife, even though she is referenced later in the film, seems irrelevant. In fact, there seems to be no reason for Lucas Hill to be married at all, as his later relationship sees him conveniently forget Molly and renders his character extremely unsympathetic as a result. Yes, Keanu unsympathetic. I know. Unfortunately, the story isn’t saved by any gripping espionage either. There’s some to-ing and fro-ing between Siberia and St Petersburg, but it’s remarkably pedestrian given who’s in it and what’s supposed to be happening. The whole narrative careers to a conclusion quite quickly, with this final act being by far the most interesting both thematically and philosophically. 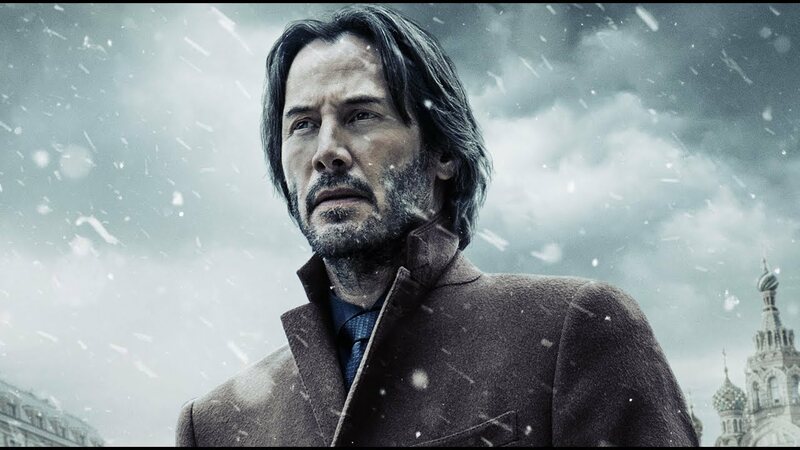 Reeves generally knows the type of roles and films which suit his persona and acting style, and while the character is a decent fit for him, the set up lacks any believable stakes until right at the very end. One for the Keanu completists I’d say, but it left me feeling more than a little disappointed.